The former boss of the flamboyant, decadent and glamourous Roxy Music has a profound passion for jazz, and particularly jazz from the ‘20s and ‘30s. He released his first solo album in 1977, These Foolish Things, then in 1999 the magical and charmingly old-fashioned As Time Goes By, and three years later he brought us his vision of The Jazz Age, both instrumental and vocal, of the aromas of Cotton Club, the legendary dancing of Harlem during the Prohibition and anthems from the Roaring Twenties. The dandy Ferry revisits this sepia-coloured jazz with a unique and timeless elegance thanks to his slightly husky, velvety voice. Bitter-Sweet journeys through the past, both in his vocals and instrumentals, sometimes swinging, sometimes melancholic, set in the ambiance of another era. His inspiration this time came from the German TV series Babylon Berlin based on detective novels by Volker Kutscher set in the 1920’s - the ideal setting for a blend of jazz, ragtime and blues. 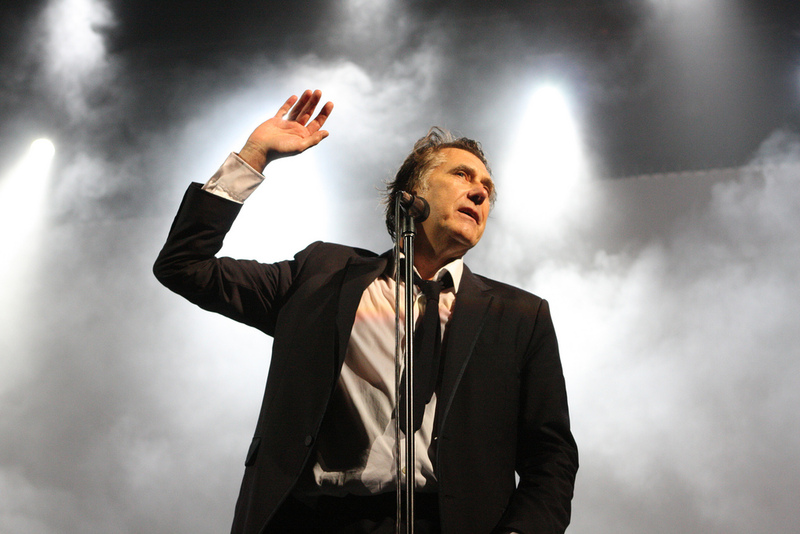 He revisits old songs from his solo albums and from Roxy Music (While My Heart is Still Beating and Dance Away) surrounded by expert musicians from his Bryan Ferry Orchestra. The ex-Roxy is an elegant, stylish and top-class performer - it’s hard not to get caught up in his travel through time.